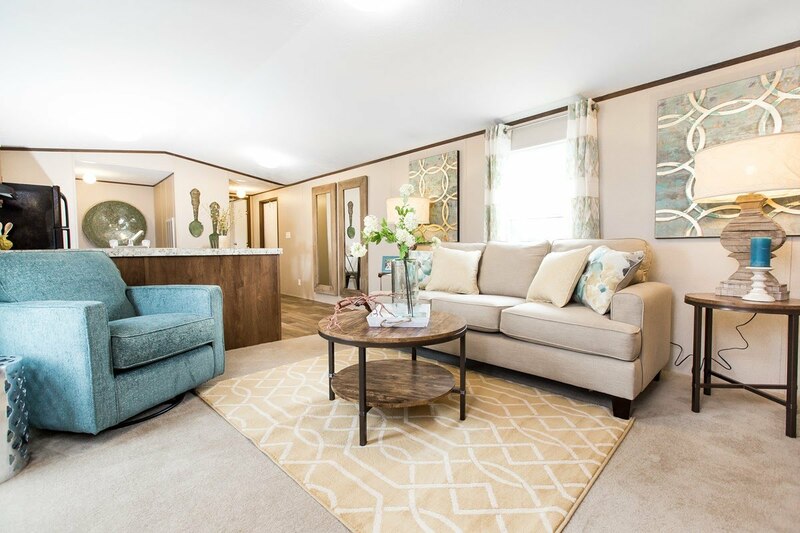 Yess Home Center is a full-service retailer of manufactured and modular homes in Baxley, Georgia. Whether you’re in the market for a modest first home or you’re searching for something with enough room for your entire family, we want to help find you a gorgeous home that serves all your needs. 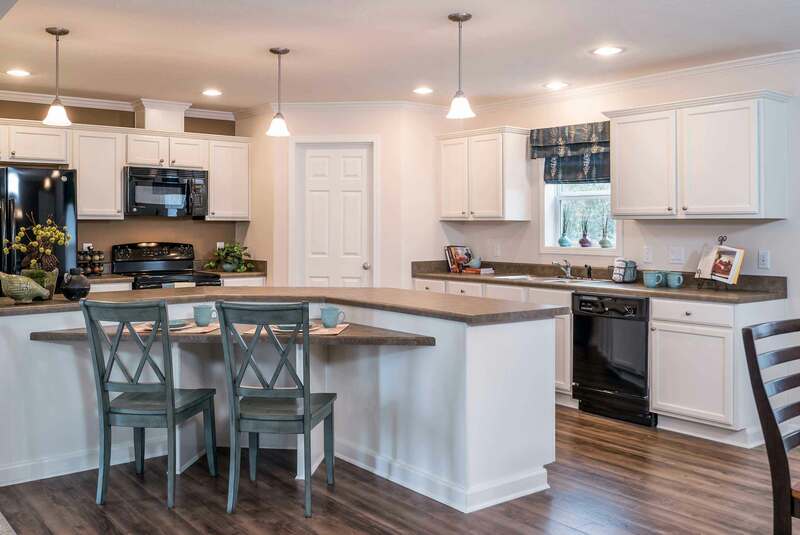 We’re proud to offer factory-built homes from Kabco, Fleetwood, Appalachia, Hamilton, Franklin, Live Oak, TRU Homes and Champion — respected home builders with reputations for crafting beautiful, quality homes. 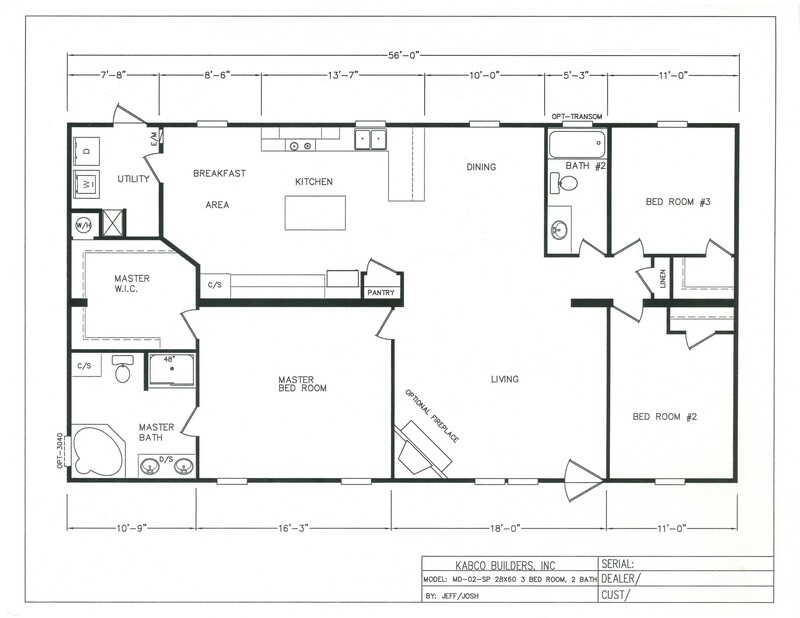 At Yess Home Center, you can browse a wide variety of floor plans we’ve hand selected for the excellent features and value they have to offer. Our friendly, professional home consultants can help you find the one you love, and they’ll help you customize it to meet your personal wants and needs. 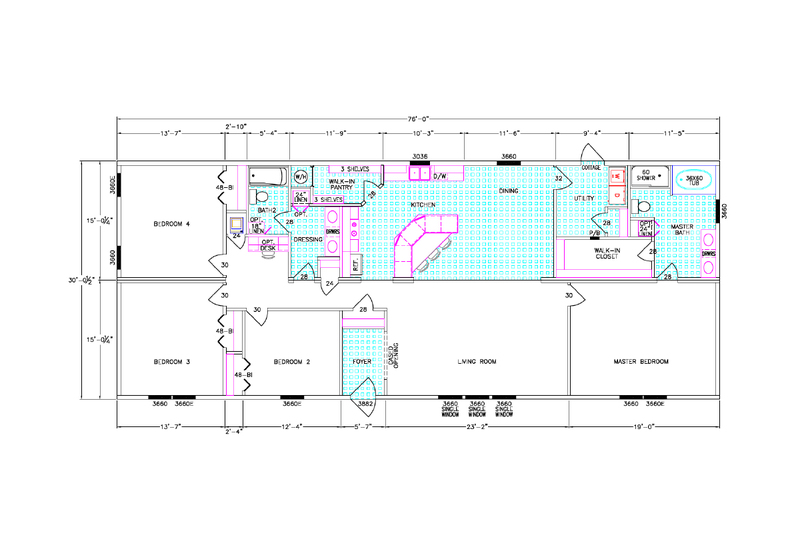 Three bedrooms and 2 baths.Large open island kitchen with private breakfast room. Spacious living room and dining room. Inviting master bedroom and luxury bath with private retreat. Yess Home Center commitment to its customers’ shopping experience and satisfaction is exemplified by our adoption of revolutionary, innovative 3D Virtual Home Tour technology. We invite every customer to step inside and experience it for themselves. 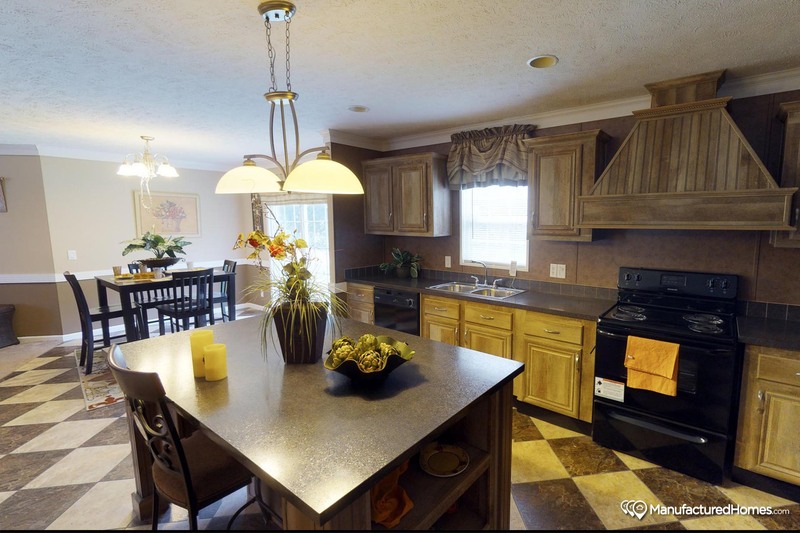 As you browse our inventory of expertly built manufactured home and modular home, keep an eye out for the “3D Tour” icon designation! Quality, Selection, and Affordability? Yess! We invite you to come discover why Yess Home Center is the go-to place to purchase your new home. It’s our mission to provide you with exceptional customer service and a beautiful new home at a fraction of the cost. No matter how big or how small you’d like your new home to be, we’ve got what you need — we offer a wide selection of homes from Kabco, Fleetwood, Hamilton, Appalachia, Franklin, Live Oak and TRU Homes to choose from. Let Yess Home Center help you select the perfect home for you and your family! WANT TO GET IN TOUCH? CALL US AT (912) 240-0111! At Yess Home Center, we have the knowledge and experience it takes to make your dream home a reality. We’ve served the South with quality, affordable manufactured and modular homes for over 20 years. Over this time, we’ve helped hundreds of homebuyers become satisfied homeowners, and learned a great deal about how to make it happen smoothly and efficiently. When you shop for a new home with us, you’ll have the benefit of our expertise and guidance every step of the way. We understand buying a home is quite an investment, and our goal is to get you the best deal possible on a home you love. Yess Home Center wants to make your home buying experience fun and exciting — the way it should be! Our friendly, professional team is ready to help you discover everything we have to offer. We aim to put you in control of the experience, and we’ll help guide you to floor plans, features, and options you love. Your new home can be just as you like it — big or small, fancy or plain, we’ll help you get everything just right before it’s custom-built for you. With homes from Kabco, Fleetwood, Hamilton, Appalachia, Franklin, Live Oak, and TRU Homes, the possibilities for your new home are endless. It all adds up to a beautiful new home — designed with your own touch, and built to last a lifetime. The team at Yess Home Center is ready to work for you and with you to help you purchase your first home. Our home consultants will guide you through every step of the home buying process, from start to finish. We believe the significant value manufactured and modular homes offer is perfect for first-time home buyers. We’ll share our experience and knowledge with you to help you get the most home for your money. At Yess Home Center, we want to help you purchase a first home you and your family will love. Our goal is to exceed your expectations before, during, and after the sale — and for years to come! Kevin and I traveled all over Georgia and Florida searching for that perfect home and the right people to deal with in the purchase of that home. Funny that when we finally found those people, their name of business was literally what we were hoping to finally hear — YES! We could not have picked a finer group of professionals to work with. The staff at Yess Home Center have become like family to us. I am in awe of how attentive they have been to us. Thanks to Heather and Richard Altman and Laci Carter — you all have truly made our dreams come true. I LOVE my new home! It's pretty amazing, and so are y'all.